The committee’s report has being highly cricitised by those who who were unhappy with the list and reportedly called for it to be disbanded. 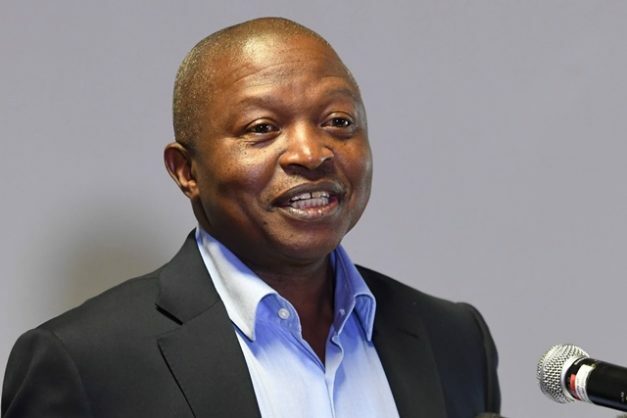 The ANC’s integrity committee reportedly flagged Deputy President David Mabuza, Mineral Resources Minister Gwede Mantashe and 22 others as “problematic” parliamentary candidates. ANC head of presidency Zizi Kodwa, Nomvula Mokonyane, Bathabile Dlamini, Zweli Mkhize, were reportedly among the 22, and also on the list the IEC received objections against. A Luthuli House “insider” reportedly told the publication that Mabuza and Mantashe were being “unfairly targeted” by political opponents in a battle for positions after the elections. “They have been identified as obstacles to other people advancing, as many people still have ambitions to serve in Cabinet,” the “insider” was quoted as saying. Should the integrity committee report be accepted by the ANC, the candidates would be “forced” to remove their names from the candidate list, City Press reported. However, the committee’s report has been highly cricitised by those who who were unhappy with the list and reportedly called for it to be disbanded. Critics said the committee should have called in the “problematic” 22 to defend themselves. Though clear reasons as to why they had been flagged as “problematic” candidates, Mokonyane was implicated in state capture, while Dlamini had been accused of lying under oath. ANC acting national spokesperson Dakota Legoete told the publication that officials were “considering” the committee’s report, while committee head George Mashamba refused to comment on the details of the list. “The ANC has not made statement about withdrawing people. The ANC gave us a list to review. We have done that. We have sent our review back to the national executive committee. We have not said anything, and they too have not released a statement regarding withdrawing people,” Mashamba was quoted as saying. Mabuza’s aides told the publication they were unaware of the report, while Mantashe said he would not dignify “malicious leaks” with a comment. Addressing a public meeting at the Ganyesa Sports Ground in the Dr Ruth Segomotsi Mompati Region on Saturday, Mantashe appealed to the people not to be “alarmed” when party leaders are mentioned in the state capture commission.